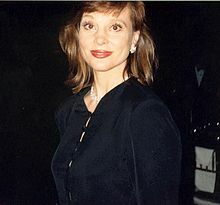 Leigh Taylor-Young (born January 25, 1945, Washington, D.C.) is an American actress. She has been in many movies and television programs. She played Elizabeth in Secret Admirer. She played Virginia in Jagged Edge. She also starred in the soap opera Peyton Place in the late 1960s. This page was last changed on 3 March 2015, at 06:37.